Semidouble pansies of white, with blue center stripes. 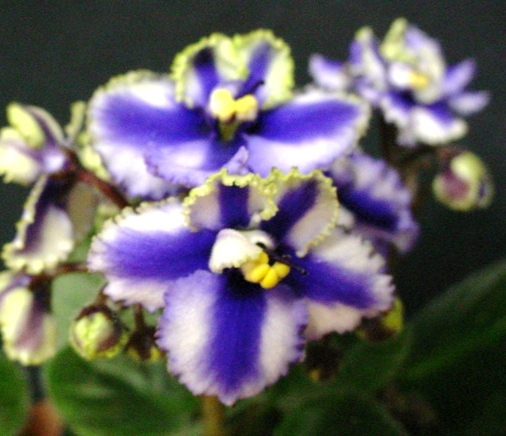 The top petals are capped with lots of green, and the bottom petals have a pencil line edge of blue. The flower edges are nicely ruffled. The semiminiature foliage is medium green.